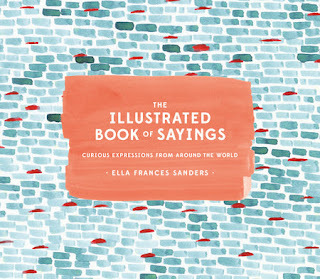 This is an interesting and colorful book of sayings and idioms from the world over. Just like the title states. We would like to have seen a reference or two. Somewhere. 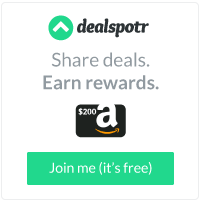 Perhaps, this isn't necessary? We were fixated on this before we even received the book. We aren't even sure whether or not this is a criticism. We just wanted to be able to see something like this. Granted, there are 52 entries and each page details historical background rather succinctly. The author did a good job. 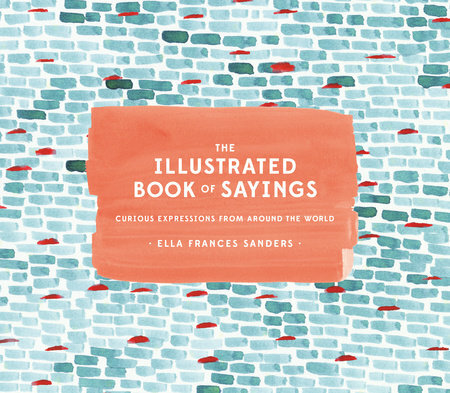 In fact, we would like a book like this which, focuses on American sayings. We want to know where some of that strangeness comes from. We'd write that ourselves, but, the thought of such a task is remarkably overwhelming. This would make an excellent children's book after they have begun reading. The covered topics are history, geology, sociology and a lot more. Edifying. ELLA FRANCES SANDERS is a writer out of necessity and an illustrator by accident. She currently lives and works in the city of Bath, UK, without a cat. Her first book, Lost in Translation: An Illustrated Compendium of Untranslatable Words from Around the World, was a New York Times bestseller and is now, perhaps ironically, being translated into many other languages. She still doesn’t know exactly how it all happened, but things seem to be going OK.